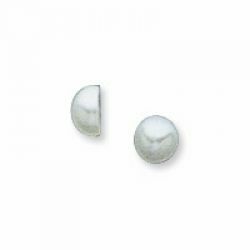 Description: White colored half round cultured seed pearl for replacements & repairs to your antique jewelry. They are easy to replace yourself, all you need is a little dab of jewelers epoxy to secure in place. These are half pearls with a flat bottom, AA quality. Sold individually.